Last year, a one-off game took place which got a decent response. Looking to build on the success of last year, the Board of Control for Cricket in India (BCCI) is once again set to conduct T20 exhibition matches for women. Just like the previous year, this year’s game will involve the top Indian and overseas players. The last year’s match was played at the Wankhede Stadium in Mumbai. The game was held hours before the first Qualifier between Chennai Super Kings (CSK) and Sunrisers Hyderabad (SRH). 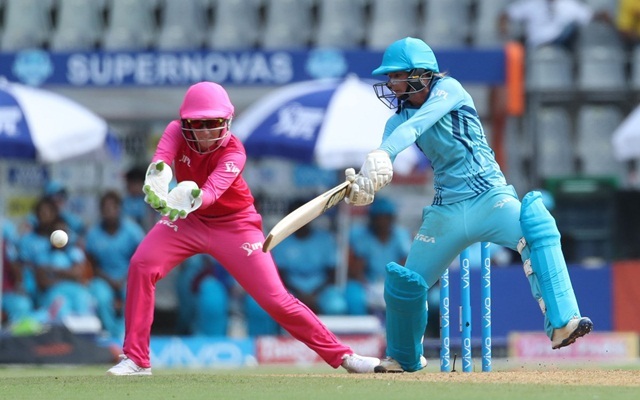 The one-off game had turned out to be a low-scoring thriller in which Harmanpreet Kaur-led Supernovas edged past Smriti Mandhana’s Trailblazers by three wickets on the very last ball of the match. The game totally lived up to the expectations, keeping the fans on the edge of their seats as the women showed they are ready for an IPL-themed competition. But unlike last year, the BCCI is planning to host more than one game this year. According to ESPNCricinfo, the BCCI has been contemplating the idea of hosting the games during the IPL for months now. However, given India’s domestic pool of women players, the BCCI is yet not convinced about starting a full-fledged domestic women’s T20 league in India. Consequently, the BCCI has decided to conduct a slew of matches this IPL as a follow-up to last year’s one-off exhibition game. Reports suggest that this year’s competition could also see only two teams fighting it out. The Indian cricket board is keen on making the two sides play a best-of-three series. The teams’ composition might be similar to the men’s IPL sides, with a maximum of four overseas players per side. Both BCCI and Committee of Administrators have reportedly given the green-light to the proposal but the organisers are yet to come up with a concrete plan. One of the reasons behind the delay is that the BCCI is still waiting to finalise the IPL schedule, which depends on the date for the General Elections. Meanwhile, the BCCI has already confirmed that this year’s IPL will start from March 23.